Sometimes it’s fun to revisit a place you haven’t seen in a while. Such is the case with Abita Springs, a small town on Lake Pontchartrain’s north shore, just a short causeway ride from New Orleans. I last visited Abita Springs some 15 years ago, and upon my return I was happy to find that one of my favorite attractions hadn’t changed, and another had added some access upgrades. 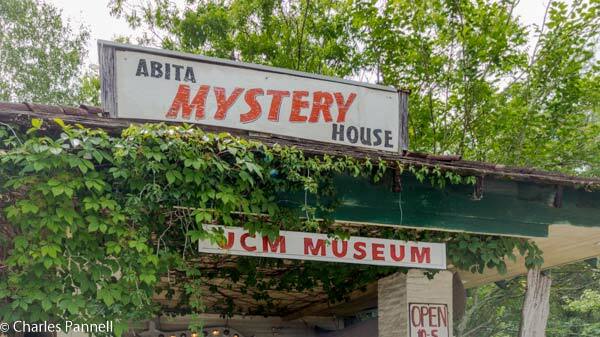 My first stop was the UCM Museum, which has now been renamed the Abita Mystery House. According to owner John Preble, the former name was confusing to a lot of people, as they’d see the signs on the interstate and expect to find military memorabilia at the museum. I’m not exactly sure how they got that from the old name, which I always interpreted to be “You See “Em”, but to each their own. The good news is that not much else has changed at this unique roadside attraction – including the $3 admission charge. Patterned after the Tinkertown Museum on New Mexico’s Turquoise Trail, the museum features a eclectic collection of found objects, many of which have been crafted into folk art displays and dioramas. As Preble puts it. 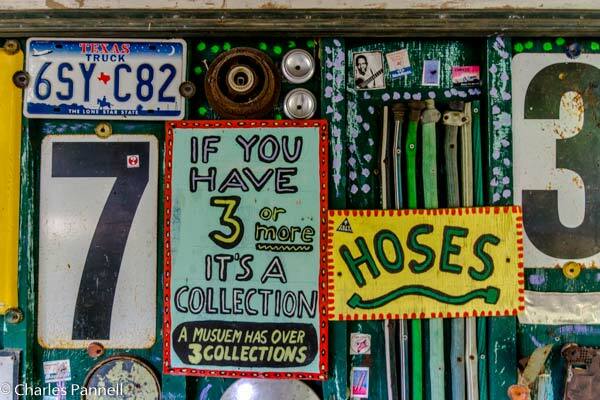 “If you have three of something, it’s a collection.” From the house of shards covered in pottery and glass pieces, to the beer bottle walls and even the alien’s RV, there’s something for just about everyone at the Abita Mystery House. And although there are some bumps and cracks along the pathways, it’s mostly doable for wheelchair-users and slow walkers. It’s definitely worth a stop, and there’s even a large accessible bathroom just off the gift shop. My other favorite Abita Springs haunt has gone through a lot of changes in the past 15 years, but as far as access goes, that’s a very good thing. When I last visited the Abita Brewing Company, the tour started in the tasting room, which doubled as the employee break room. It was kind of fun to watch the employees come in and fill up their cups and then wander back to their jobs. You can imagine my surprise to arrive and find a nice big new tasting room — complete with a 24-foot mahogany bar — dedicated totally to visitors. The tour still starts in the tasting room, which features level access, accessible restrooms and plenty of room to roll over to the taps. Although the taps are out of reach for wheelers, there are employees on hand to help out. They are also there to help folks who inadvertently pour a glass of foam. After a short video, visitors are invited to walk through part of the facility, Access is also greatly improved there, with accessible pathways and ramps throughout the plant. On my last visit it was “mostly” accessible, and there were a few obstacles along the way, but this new facility has excellent access. 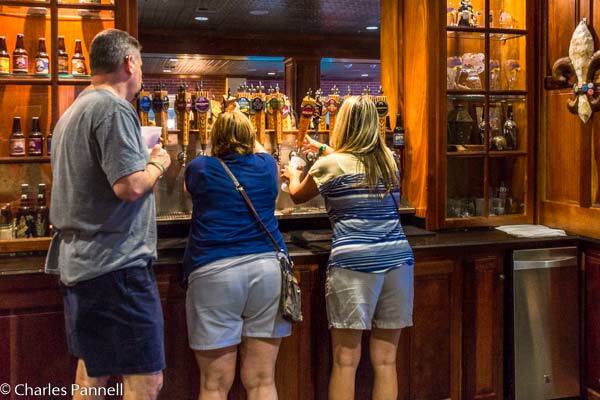 After the tour, visitors are once again invited to enjoy a taste or two of Abita’s excellent brews. All in all it’s still a fun tour – and still free. 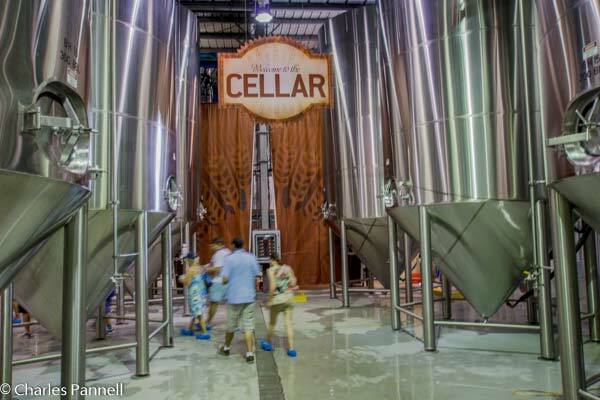 But plan accordingly though, as tours are only held Wednesday – Friday at 2 p.m., and on Saturdays on the hour from 11 a.m. to 2 p.m. And if you don’t want to wait in line, then arrive about 15 minutes after the hour and you will be ushered right into the tasting room. Oh and remember to wear closed toe shoes, or else you’ll be given some dorky looking blue booties to wear. So next time you find yourself in New Orleans, take a day or two to explore the other side of Lake Pontchartrain. You won’t be sorry!! This entry was posted in Attractions, Destinations, Road Trips and tagged Abita Mystery House, abita springs, factory tours, lake pontchartrain, Louisiana, New Orleans, north shore, roadside attractions by Candy B. Harrington. Bookmark the permalink.